Ward Dean, M.D., is one of the most forthright physicians in the world today who is researching and practising anti-aging medicine. Apart from his groundbreaking work with Professor Vladimir Dilman, in forming the; "Neuroendocrine Theory of Aging and Degenerative Disease," he is also a world renowned expert in; Biological Aging Measurement, having written the magnum opus of the same name. Well known for writing numerous publications, both for the public and professional in the field of anti-aging/longevity medicine, (including the Smart Drug series of books), in addition he is an ardent supporter of human rights and is often to be seen supporting the cause of liberty and freedom, and is often called as an expert witness to those in need of his services. Today, Dr. Dean is the Medical Director for Vitamin Research Products in Carson City, Nevada, the Medical Director of Inner-Age, and is also Medical Doctor to the Watson Health Center, Milton in Florida. The following interview is a record of a telephone conversation between Dr. Ward Dean, and Phil Micans PharmB, Vice President of IAS. Phil: "Thank you Dr. Dean for taking some time today in your busy schedule to talk about something that I know is close to your heart, being as it has a direct impact on readjusting a parameter affected by the Neuroendocrine Theory of Aging, specifically the biguanide drug Metformin." Dr. Dean: "Phil, as you know, since the early '90s, I've been recommending Metformin as the most effective anti-aging drug there is. I think it still holds that distinction. In fact, the Life Extension Foundation recently made that same claim on the cover of their magazine." Phil: "You were kind enough way back in the Spring 2000 IAS Anti-Aging Bulletin to write an article about Metformin and how it was a successful agent to help with weight loss. Could you please remind our readers what the purpose of Metformin is, at least from the 'official approved-use' perspective?" Dr. Dean: "Sure... Metformin or Glucophage ® is approved for diabetes. Specifically, Type II 'maturity onset' diabetes. 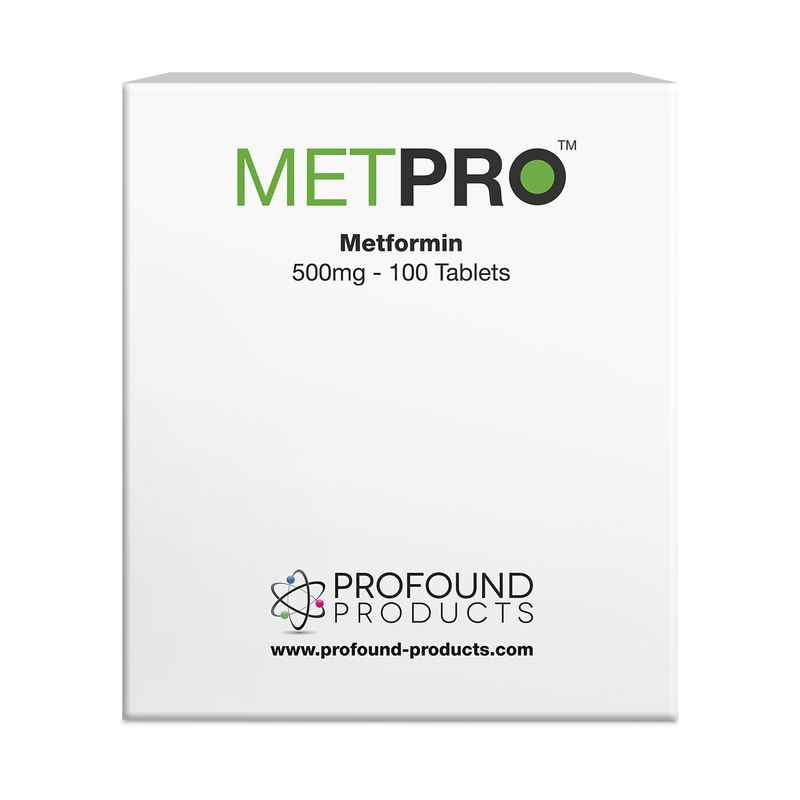 Metformin has a mechanism of action that is completely different from the older antidiabetic drugs, like the sulfonylureas. The sulfonylureas act to stimulate the release of insulin from the pancreas. The problem is, Type II diabetics are already insulin resistant, they've already got too much insulin. So although the sulfonylureas lower blood sugar by elevating insulin still more, they actually make the condition even worse by causing even more insulin resistance. Metformin acts by restoring insulin receptor sensitivity - not only in the muscles, but also in the hypothalamus - the central regulator in the brain. Although Metformin was originally approved only for Type II diabetics, I've always used it on my Type I, 'insulin dependant' diabetics, as well. Although Type I diabetics produce insufficient quantities of insulin, they, like the Type II diabetics, are insulin resistant as well. Consequently, I recommend that Type I diabetics use Metformin along with their insulin. This way, they can get away with less insulin, and the Metformin greatly reduces the wild swings in blood sugar that most insulin dependant diabetics suffer from. In addition, Metformin is widely recognized as the drug of choice for the polycystic ovary syndrome (PCOS). It works equally well for any woman with ovarian cysts." Phil: "So how do those insulin receptor resensitizing effects of Metformin aid in the control of aging?" Dr. Dean: "Phil, as we age, we are all becoming diabetic, and some of us are just more diabetic than others. I consider Metformin to be a 'metabolic rejuvenator.' It actually restores our ability to handle carbohydrates to a more youthful state. In addition to normalizing blood sugar and insulin, it lowers cortisol, helps to normalize blood pressure, lowers cholesterol and triglycerides, stimulates the release of growth hormone, and enhances the immune system." Phil: "So overall, Metformin looks like a pretty remarkable substance, beneficial for weight control, lowering cholesterol ratios and possibly even influencing life span. What potential side effects and contraindications have you noted with your patients?" Dr. Dean: "The only side effect I commonly see with Metformin is stomach upset and diarrhoea. And that only occurs in about 10%. However, if you're in that 10%, as far as you're concerned, it's 100%! I've found, however, that almost everyone can build up a tolerance to it. I suggest that my patients start with a low dose - as little as one, or even a half tablet per day. I suggest they take this dose for a week or two, and then gradually titrate the dose up as they develop a tolerance. There is a theoretical problem of lactic acidosis in patients with impaired kidney function, but in practice, I have never seen this, despite monitoring thousands of patients on Metformin. Nevertheless, I believe that anyone with impaired kidney function should take Metformin only under the care of a physician, and should have their blood levels of lactic acid checked periodically." Phil: "And what dosages do you normally prescribe?" Dr. Dean: "I routinely recommend 1500 mg per day, although I often recommend as much as 2,000 mg per day. I don't see much benefit going any higher than 2,000 mg. However, if someone is not able to take doses that high, without gastric upset, I recommend they take whatever dose they can tolerate. Don't make the treatment worse than what we're trying to treat." Phil: "Are there any additional substances that can be used synergistically along with Metformin?" Dr. Dean: "Metformin has been shown to impair the absorption of vitamin B12, so it is probably prudent to make sure that you're taking plenty of B12. I don't have to tell my patients that, of course, as they're usually already taking plenty of vitamins. Metformin has also been shown to raise homocysteine, so extra folic acid and Vitamin B6 should also be taken - again, not usually necessary for my patients. If homocysteine levels are elevated, I recommend adding Anhydrous Betain (Trimethylglycine) in a dose of about 6-9 grams per day. 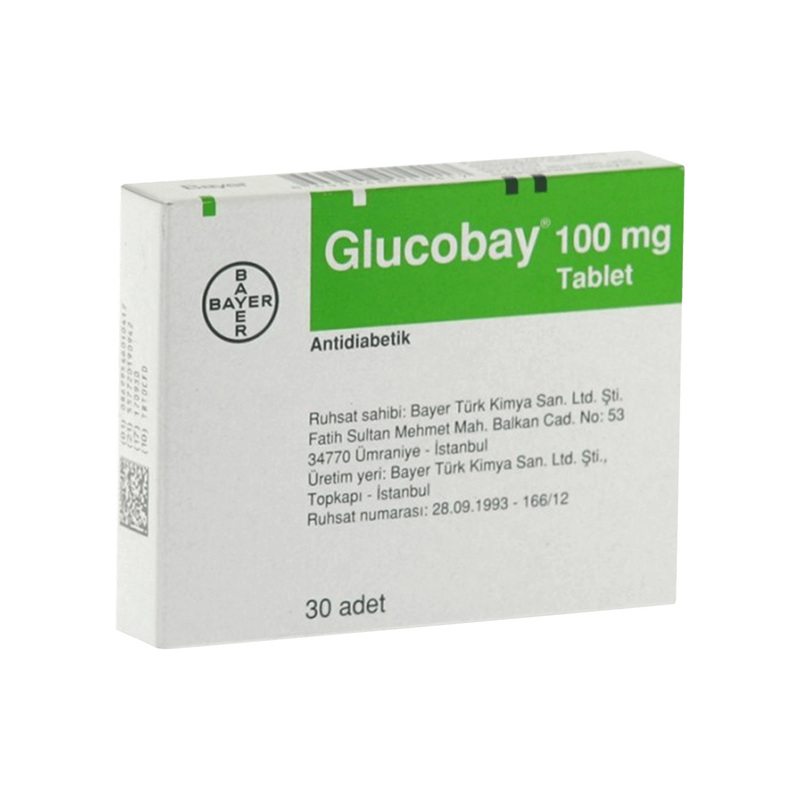 If a patient is diabetic, or a starch junkie, the starch blocker Acarbose (Glucobay ®) can also be used. If the patient is a diabetic, I will add Actos ® or Avandia ® to the Metformin, these are also insulin receptor sensitizing drugs which can enhance the glucose-lowering efficacy of Metformin by up to about 30%." Phil: "Regarding Acarbose, I remember that you wrote an interesting piece in the Fall 2000 IAS Anti-Aging Bulletin, about how it blocks the update of starches, which are, after all, nothing more than simple sugars, and how its addition can also enhance weight loss. Any interested reader can look that up on the IAS website. In the meantime, are there any particular patient results that spring to mind, for example, people who appear to have been turned around using this type of therapy and approach?" Dr. Dean: "Phil, Metformin is a real life-changing drug for many people. In addition to being one of the most effective weight loss drugs there is, it has the effect of just making people feel better. The three things I keep hearing over and over from my patients on Metformin are: 'I feel better; I've got more energy; and I've lost my carbohydrate cravings.' "
Phil: "This whole area of anti-aging treatment is clearly very effective. We know of course that the accumulation of Advanced Glycated End products, or AGEs, are much greater in diabetics compared to non-diabetics, and that diabetes has often been viewed as a form of accelerated aging. I suspect that even more focus is going to be placed onto what Dr. Raven called Syndrome X, what is your view Dr. Dean?" Dr. Dean: "Professor Vladimir Dilman is the originator of the Neuroendocrine Theory of Aging. Dilman preceded Reaven by more than ten years, and his concepts went far beyond Reaven's. Syndrome X is a pattern of hyperinsulinemia, hypertension, and coronary artery disease. Dilman, however, described the 'metabolic pattern of aging,' which not only includes the elements of 'Syndrome X,' but also incorporates other metabolic changes as well, which are a part of all of the other chronic degenerative diseases. The lynchpin in all of these conditions, is hyperinsulinemia, and the loss of hormone receptor sensitivity. I updated Dilman's work in our 1992 book, 'The Neuroendocrine Theory of Aging and Degenerative Disease' [Ed.- unfortunately, out of print], and in a series of articles for the Vitamin Research Newsletter, all of which are available in the anti-aging section on my website at www.warddeanmd.com. Since hyperinsulinemia is involved in Syndrome X and the Metabolic Pattern of Aging, and since Metformin normalizes insulin, blood sugar, and a number of other age-related parameters, Metformin really is a true anti-aging, life extending drug." Phil: "I've seen your website, and it is really quite interesting, especially some of the pages that are unrelated to health and life extension, and I often recommend your site to others. Perhaps I can say in closing that we would be keen to hear from any clients out there using Metformin as to what their experiences have been, and to keep us informed of their progress. Given the fact that Metformin is readily available and inexpensive, this is an anti-aging medicine that most can afford." Dr. Dean: "I agree. I think everyone over 35 should be taking Metformin." Phil: "We welcome your input Dr. Dean and keep up the good work." Dr. Dean: "My pleasure Phil."